Costa Rica Sports News – Central America and the Caribbean are set to play host to Gold Cup matches for the first time in history in 2019. 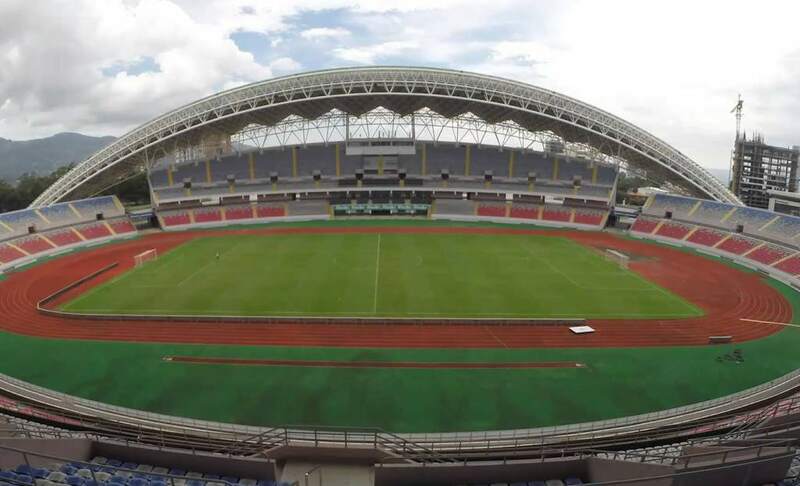 Costa Rica’s Estadio Nacional will be the site of the first two Group B matches for next summer’s edition of Concacaf’s continental championship, the confederation announced Monday. A site in the Caribbean to be named later will host the first pair of matches in Group C.
While the bulk of the tournament will be in the United States, as every edition has been since the current incarnation of the tournament was launched in 1991, this is the first time in its history some games will take place outside of North America. The decision coincides with an expanded field of 16 teams fighting for the crown. The Costa Rica national team, under new manager Gustavo Matosas, will play one of the two games in San Jose on June 16, with the rest of the group set to be filled out once qualification is completed in March. The group then moves to Frisco, Texas, and closes out at Red Bull Arena outside New York. Greater inclusion of teams and fans in Central America and the Caribbean has been a frequent talking point for Concacaf President Victor Montagliani since he took over in 2016. The decision to play Gold Cup matches outside the U.S. is in line with other initiatives launched by the confederation. Under Montagliani’s watch, the Concacaf League tournament involving club teams from Central American and the Caribbean got underway, while the Concacaf Nations League is set to launch in earnest in 2019. The qualification for the Nations League, which also serves as 2019 Gold Cup qualification, has seen teams that hadn’t played matches in years play three games in as many months. Despite Costa Rica advancing to the quarterfinals of the 2014 World Cup and finishing second in the final round of World Cup qualification in each of the last two cycles, the Ticos have made just one Gold Cup final. Their last continental championship came in 1989, prior to the institution of the Gold Cup and a separate tournament for qualification. With a number of the region’s top teams in flux, Matosas’ arrival as coach while other regional rivals are still carrying out their searches plus positive results in recent friendly matches have some hoping this may be the year Costa Rica can lift the Gold Cup. No matter what results are achieved, it will be a historic start to the journey with Costa Rica beginning it on home soil.